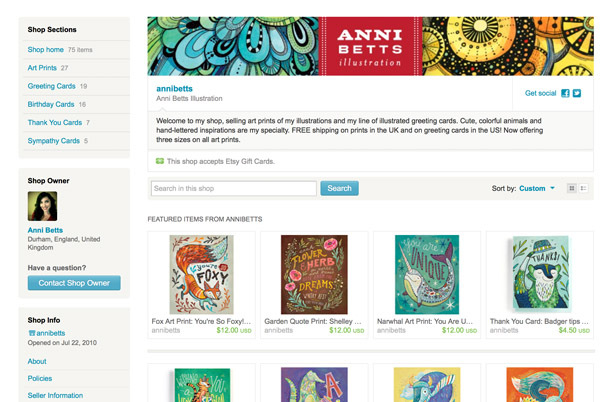 Welcome to annibetts.com! Make yourself comfy and have a look around. Here you’ll find all of my bright and whimsical illustrations in my portfolio, along with the latest news from my blog. Learn a little more about me, and feel free to get in touch!